Dapoli is a city in the Ratnagiri district of Maharashtra in India. Dapoli is 215 km away from Mumbai. It is also called the "Mini Mahabaleshwar" (Mahabaleshwar is a hill station in Maharashtra) because of its cool climate throughout the year. 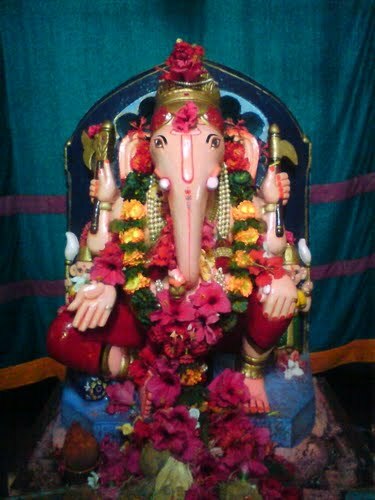 Dapoli is also the city which gave birth to many historic idols including Lokmanya Tilak, Sane Guruji, Maharshi Dhondo Keshav Karve, Wrangler Paranjape. It is close to the Arabian Sea (approx 8 km away) and acts as the main town (Taluka Headquarters) for several other small surrounding villages such as Anjarle, Sarang, Bhopan, Harnai, Dabhol, Navse (Bharti Ship Yard), Unhavare, Jalgaon, Gavhe, Gimhavane, Asud, Vanand, Kherdi, Karde, Murud and Umberghar. Jalgaon, a village in Dapoli, was awarded the "sant gadgebaba gram swachatta" award for cleanest village by the Maharashtra government. Dapoli is nowadays developing as a tourist destination due its climate, tourist places, beaches, and scenery. Dapoli is separated from the Sayhadri range by the Khed taluka. 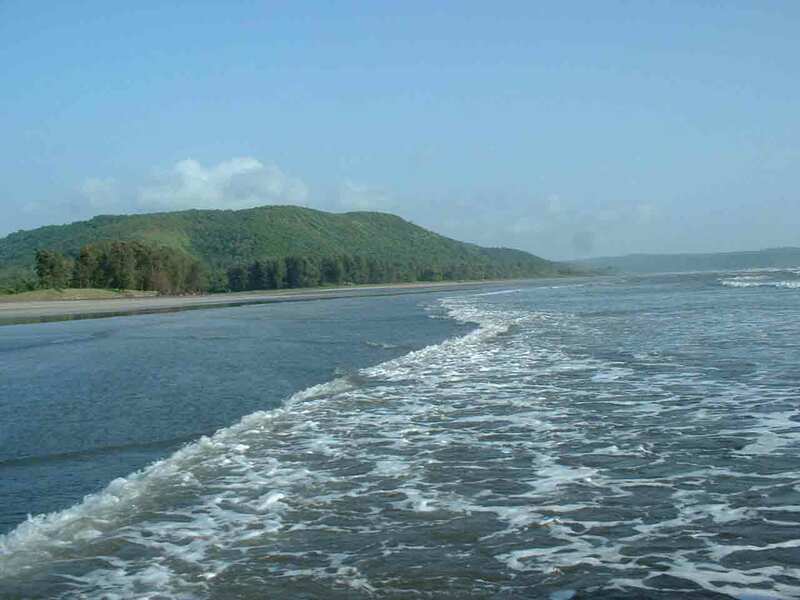 Dapoli has a seaboard of 50 km which stretches from Burondi, Kelshi to Dabhol. 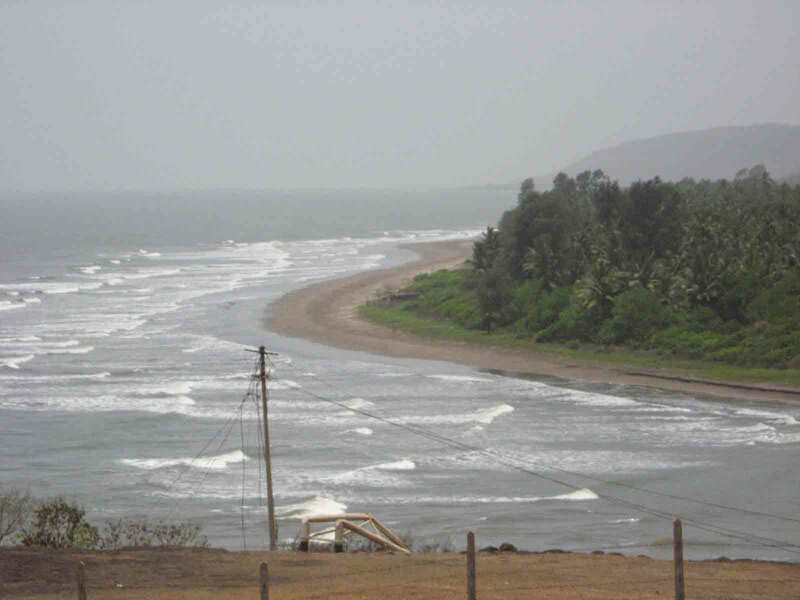 The coastline differs little in its general characteristics from that of other parts of Kokan. It is densely covered by coconut farms. The principal rivers are Bharja in the north and Vashishthi in the south. There is also a small river called Jog which flows through Sarang, Tadil, and into the Arabian sea. Despite being only 7 km away from the coast of Arabian sea, the town is located at an altitude of around 800 feet (240 m). Dapoli was the first Nagar Panchayat in India. 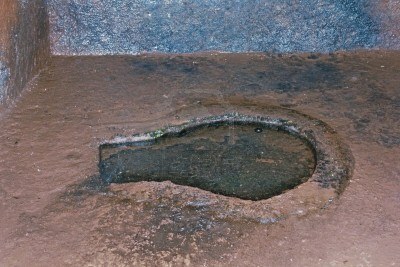 There are natural hot water springs at Unhavare Village, which is 35 km from Dapoli (Near Panhalekaji caves). Unhavare, 21 km from Vakavali & 17 km from Tetavali's is Dr. Deodhar farms (called keshav Baug) Dr Deodhar is a Expert In Algae from Bombay University, Has a guest house for tourists. The Hot springs are its only attraction. Lots of people from surrounding areas come here regularly to bath in the Hot Sulphur water springs. Separate shelters are made for men and women to take a dip in the rejuvenating hot water. The water is said to cure skin ailments. There are no charges for taking a bath here. There is a small masjid as well as school opposite to hot water. There is also "Mahamai Gram Devata Mandir" as well as "Vidya Mandir High School,starwin cricket ground &Beautiful granad mosque farare" and good Hotel of Mr. Latif Naik at Unhavre ST stand. This location is between Dapoli and Asud Pul. 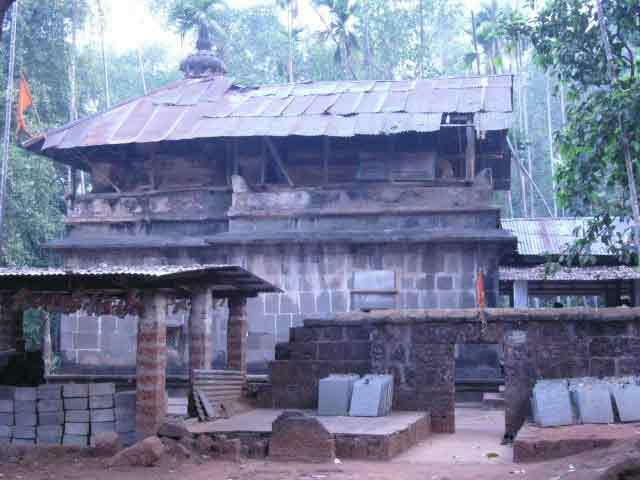 It is said that this temple is "pandavkaleen" meaning that it has its origin more than 1000 years ago. The access is via Dabkewadi and after crossing the small river, the steep climb is refreshing. At this elevation, the fresh water is a marvel and is said to be originating from a tree trunk. this fresh water flows for 24/7 and throughout the year. The SHREE KESHAVRAJ "murti" is worth the darshan. Harne fish market is assumed to be one of the largest supplier of fish to Maharashtra and also Export. Many kinds of fishes including lobsters are to be seen in the market. There is a Auction carried on daily basis on the beach. Located on the Dapoli-Dabhil Pangari road is a place called Panhalekaji and can also be accessed from Khed via Vakavali & Tetavali. 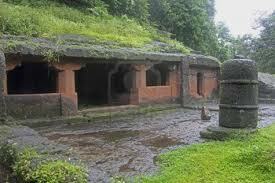 The “Leni” or caves at Panhalekaji are a must-see. You can drive up to the caves. The place is situated deep in the valley near the confluence of the ‘Kotjai’ and ‘Dhakti’ rivers. You can watch many birds and reptiles in the surrounding jungle and river. There are 29 caves and many sculptures around the area. The whole area is very beautiful. according to villager there are 15 to 16 crockodials in river. Hotels and resorts are available in dapoli. Mumbai - Khed Station (via Konkan Railway). Khed Station - Dapoli (29 km) (via private transport – jeeps, etc. / state transport - ST buses).